All of us at the American Heritage Center wish you a safe and happy holiday season! We will be closed from December 24th through January 1st and will resume our regular research hours on January 2nd. A snowy scene that won’t interfere with your travel plans! 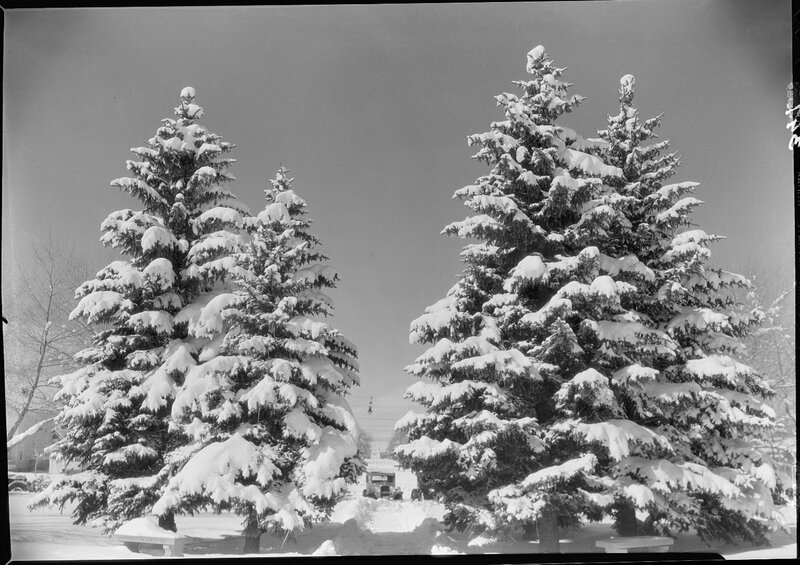 Samuel H. Knight Collection, #400044, Box 104, Negative #393. UW American Heritage Center.